I absolutely love rose patterns on everything. I think it's one pattern I could wear all the time and not get sick of. 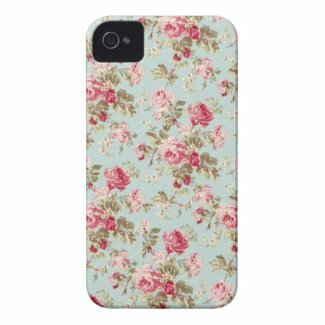 I decided to do a search in the Zazzle marketplace to find some fun rose patterned products and was overwhelmed with all of the choices! I could seriously buy everything because it's all way too cute. :) For now I will show off some of the iPhone cases I found, but I will definitely be blogging about this type of design in the future!